My Author Pages for major online outlets. A repost of Yoga-Adan’s PRLog’s Release on November 29, 2011 for archival purposes. The press release below was initially posted via PRLog November 29, 2011, and is being reposted on Yoga-Adan for archival purposes. Please feel free to access the original release on PRLog’s site. Many of the sports experiences expressed by these poems are the result of direct experiences by the author, Felipe Adan Lerma. Now older, Adan narrates considerable commentary in the deluxe editions how the poems came to be written. For the sports fan, or initial reader, “The Poems” edition offers a straight-through reading enjoyment of all the various sports represented. Some poetry, such as “Sports Fan” is humorous, while others, such as “Cross Country,” are more seriously presented. After many decades of layman-participatory sports, formally and informally, a wide gamut of feelings are found. 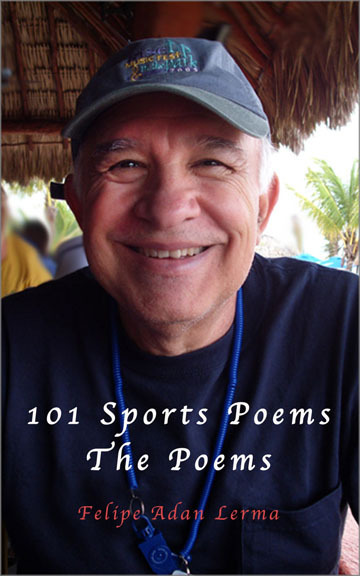 A fully linked index is included in “101 Sports Poems – The Poems” for easy linking to any sports topic or title. Deluxe editions, full size and mine collections, each include Creative Poetry Writing Workbook sections, individual personalizing templates for each poem, plus ample commentary. Expanded Resource Links to sites of other interests are also included. “The Poems” edition also contains a substantial links section near the end. Commentary on the sports poems in these editions posted on Yoga-Adan.com, is different from that detailed in the deluxe editions, but give a good view of the ideas expressed. Specialty deluxe editions, such as the Mini Sports Poetry Volumes 1-9, and the Full Deluxe “101 Sports Poems” edition, are written from the author’s added interests and certifications in yoga and fitness, to that of his studies in the Humanities and arts at the University of Houston. At the time of first publication, five of nine Mini Deluxe Sports Poetry volumes have been completed, and are also available on Amazon Kindle Books. Adan’s website maintains a special eBooks page, with a listing of all available titles, with their Press Release and buying links at Amazon Kindle Books and Google Books. 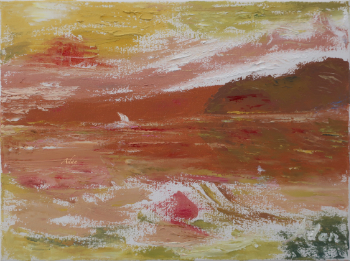 Mission Statement : Integrating Yoga, Fitness, and the Arts. Creating new visual and written content to both experience and share my goals of integrating my life long interests in the arts and fitness. it is neel 😉 thanks! hope things’ve been well for you, holidays are so crammed it seems!